Vinyl flooring offers a durable, easy to maintain and affordable solution. 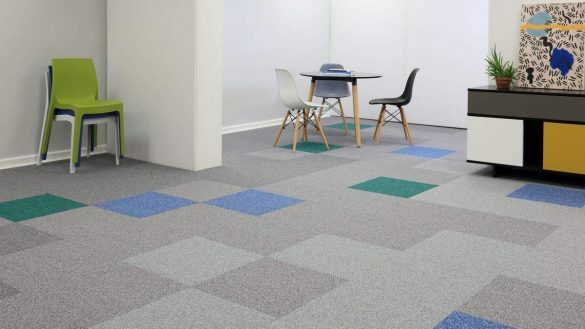 With so many advantages and even more colours and styles, it’s easy to see why it’s such a popular choice amongst the Olympic Carpet customers. Commonly used in kitchens, vinyl flooring is hygienic and easy to clean in the event of a spillage. Kitchen vinyl flooring is durable and can withhold plenty of wear, which is essential for the room that’s the centre of the home. Whether you have a traditional kitchen or something more contemporary, give your kitchen a fresh look with vinyl from our range of quality manufacturers. Being slip-resistant, durable and easy-to-clean too, vinyl flooring is the best option for bathrooms. Transform your bathroom with new flooring, get the stone tile look at a fraction of the cost and with low-maintenance hygienic bathroom vinyl flooring. Luxury vinyl tiles provide a very realistic appearance and give a modern look whilst being extremely durable. Available in a range of designs including tile, oak, pine and stone, there will be a style to suit you. 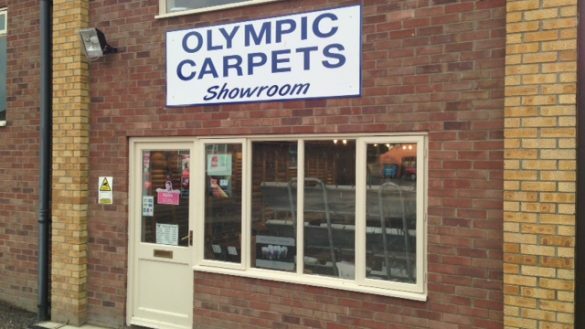 Olympic Carpets are authorised retailers of Karndean Design Flooring, and supply brands such as: Amtico, Distinctive, Polyflor and Harvey Maria. LVT is perfect for homes with children and pets, benefiting from being quiet, water resistant and hygienic. Vinyl flooring is even suitable for use with underfloor heating so you can say goodbye to cold winter mornings. 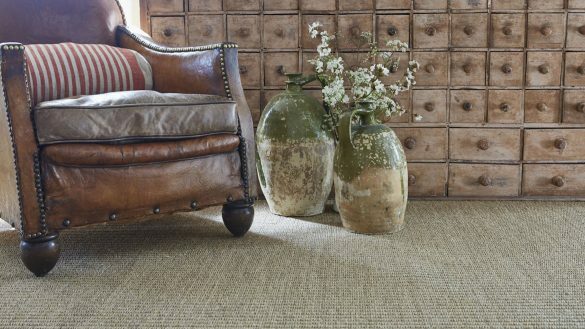 Get inspiration from our latest displays available to view at the Olympic Carpets showroom in West Winch, or make an enquiry online and one of our experts will be happy to help you in your decision making.